Recently widowed Rebecca McKenzie, a successful Vancouver businesswoman, returns to small-town Hope River after an absence of 30 years to attend her mother's funeral. 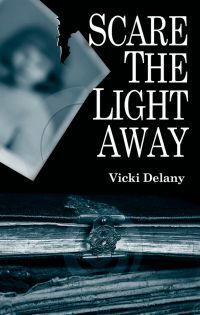 Estranged from her father and two older siblings, she's left a brutal childhood and a psychopathic grandfather behind. She expects her visit home to be short. but then she discovers the diaries written by her mother, a British war bride with a young baby who came to Canada to join a husband she scarcely knew. Rebecca finds her heart wrung by her mother's story. Meanwhile, a young girl has gone missing, and the suspicions of the townspeople fall on Rebecca's handsome, charming brother Jimmy. Before long, violence threatens and Rebecca must put aside some long-held grievances to protect Jimmy and find the real killer. As the timeless change of the seasons brings autumn to the lakes and forests of Muskoka, an enduring wrong seeks retribution and a new one struggles to take shape.